The Media Filter patch adds the capability to keep a whitelist and a blacklist for media stream URLs. This allows you to effectively block spyware from scanning your computer for information that is private to you. 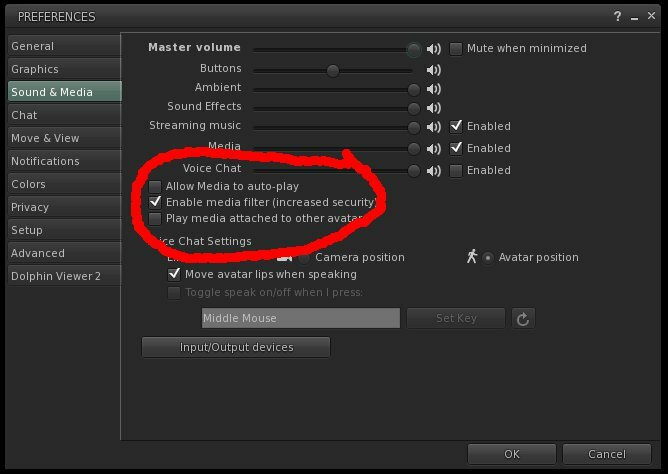 “Allow” allows that stream to play. 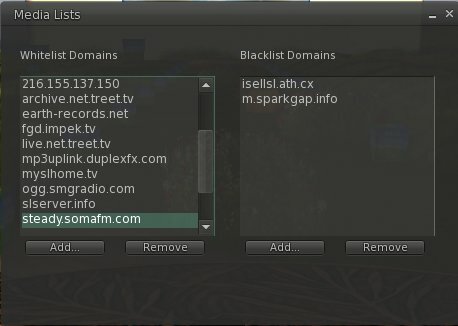 “Blacklist” blocks all streams from that server forever or until you remove that name from your blacklist. “Whitelist” allows all streams from that server forever or until you remove that name from your whitelist. To remove an entry, select the entry and click “Remove”. To manually add an entry, click the “Add…” button under the list that you want to add it to. Keep in mind, even though the media filter gives you the option for a more informed decision whether to play a certain media or not, the decision is yours. There are no blacklist entries pre-configured in the viewer – both the whitelist and the blacklist will be empty until you start to add trusted and non-trusted domains. I suggest you use caution in allowing streams, and try to find out what a stream is before you play it.